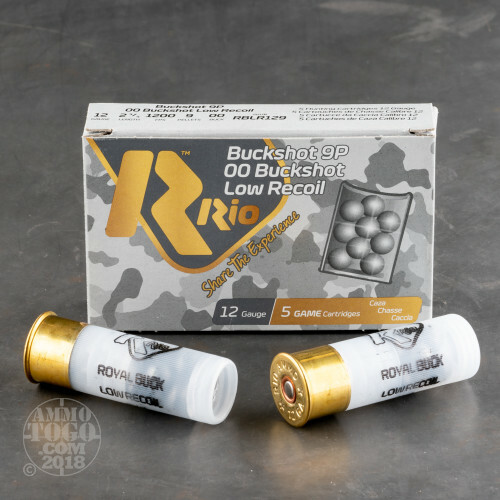 These Rio Royal shells are a great way to get 00 buckshot for your favorite 12 gauge at a low cost. 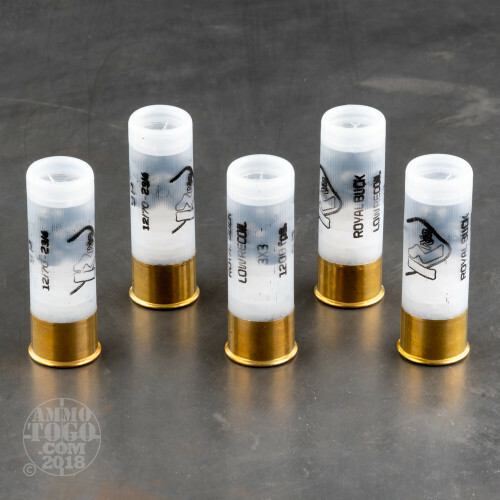 With a 2-3/4 inch length, these shotshells are compatible with the widest range of scatterguns used for patrol and self-defense. This particular round profile offers low recoil for faster follow-up shots or extended training on the range without the bruises. 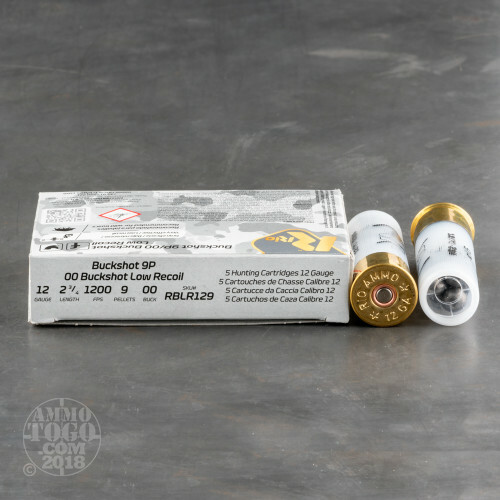 Each round contains a standard 9 pellet load of 00 buckshot which is quite popular for "social" use at typical indoor engagement distances. These shells' hulls are built with a curved top edge for easy loading but utilize a plastic shot card instead of a crimp which helps extend low cost to the end user. 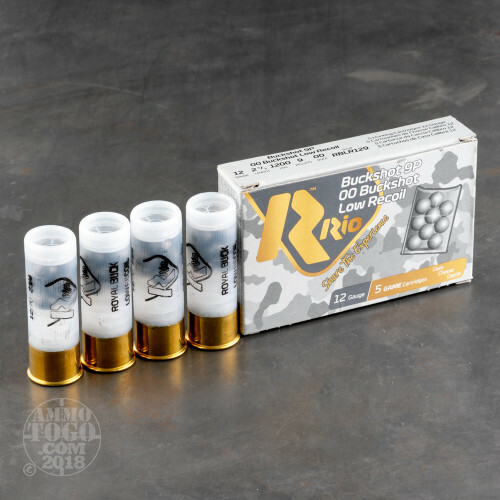 Rio Royal ammunition does its manufacturing in Spain is a proud sponsor of many competitors in a wide range of shooting sports. Their hunting and law enforcement loads are supported by over a century of experience in high quality production using inexpensive methods. The recognizable translucent white shells are associated with affordability and dependability by many U.S. shooters.